Welcome to Recoveries Atlas Online! 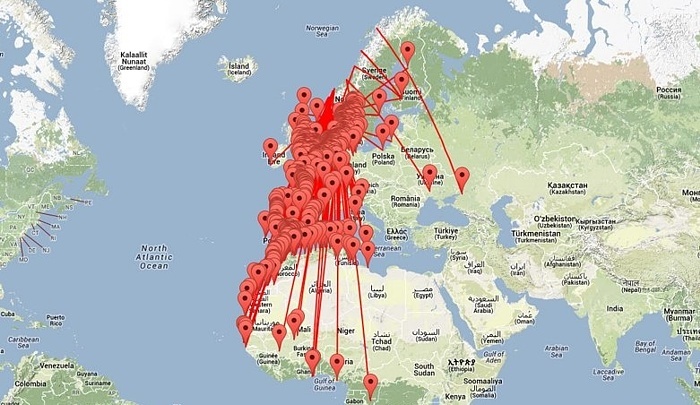 Create your own migration maps for birds ringed og recovered in Norway! Click the START button to continue!